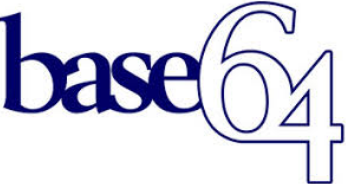 What Is Base64 and How To Encode and Decode Text? Base64 is an encoding and decoding algorithm. We need encoding of some data in order to prevent storing and transmission problems. For example If we try to transfer binary data it may create and affect some network devices because of its data structures. Base64 is generally used different applications like email and MIME, XML, JSON, URL and HTTP etc. Base64 is just encoding format so it is not used to encrypt data to hide from third parties. Base64 encoded data can be easily reverted or decoded back to the text format. It can work two way without a security restriction of password. Now we will look some examples about to encrypt and decrypt Base64 in Linux bash environment. We will encode file contents named data.txt with base64 command. We do not provide any option for this. Decoding is very similar to encode we will just provide -d option to the base64 command like below. In this exmaple we will use file named encoded.txt which contains base64 encoded data. In PHP Programming language we can use base64_encode and base64_decode functions like below.